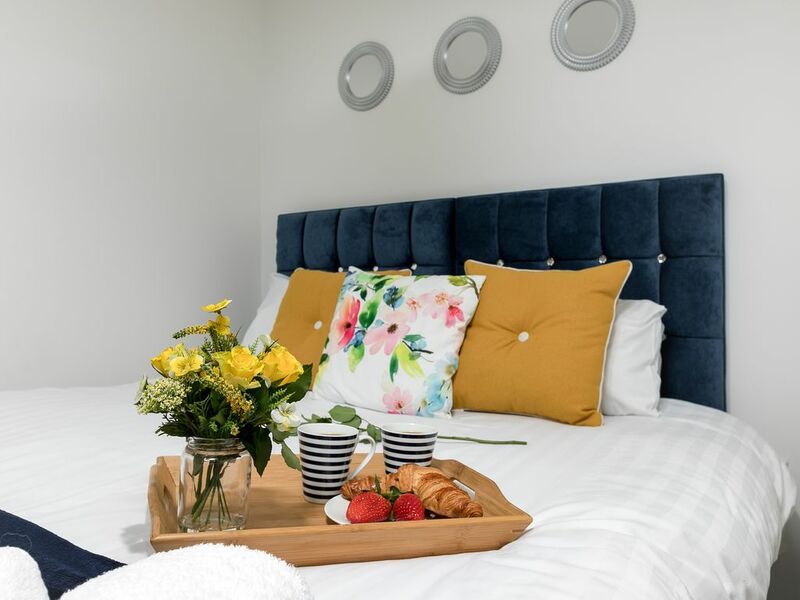 My spacious property is in a perfect location in the centre of Peterborough, and you’ll be able to walk into the city centre and to the station, with its wonderful restaurants and world-famous cathedral, in a matter of minutes. Our guests just love the fact that we can accommodate up to four people, with our beautifully furnished apartment. If you’re travelling in a larger party, you will appreciate the fact that you can all enjoy a wonderful night’s sleep under the same roof. The spacious apartment is also ideal for families (with children), couples, business travellers and solo adventurers. Whatever your reason for visiting Peterborough (one of the most historic and fastest-growing cities in England), my apartment is the perfect hub. You will thoroughly appreciate the furnishings and decor, and my team of housekeepers always ensure the property is spotlessly clean. Peterborough, only 51 minutes by train from London, is best known for its wonderful cathedral, which will be celebrating its 900th anniversary in 2018. Katherine of Aragon (first wife of Henry VIII) is buried here and the Katherine of Aragon Festival takes place from January 26-29, 2017. This beautifully decorated spacious studio apartment has all the facilities you will require while any from home.